Ukraine's State Border Guard workers - some of them, at least, since many stepped down from their posts due to the serious life hazard - continue to serve at Kalanchak and Chaplynka checkpoints, on the administrative border with the occupied Crimea. Oleg Slobodyan, the assistant head of Ukraine's State Border Guard reported that in his commentary for 112 Ukraine TV channel. 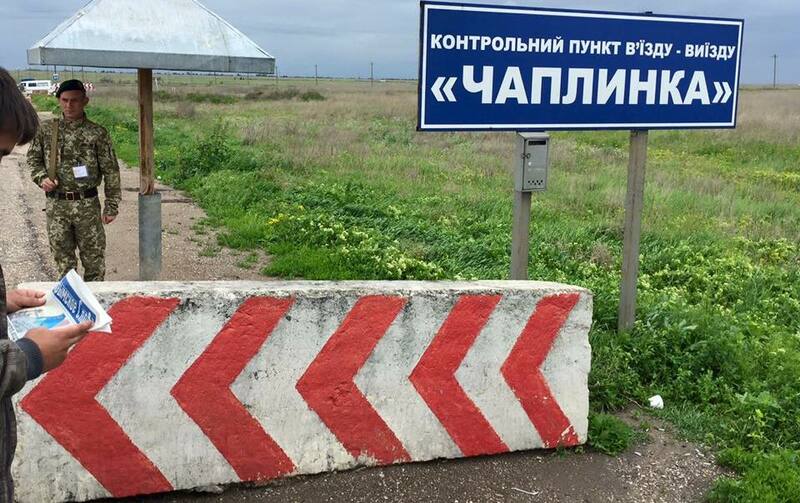 'A limited number of border guards will stay at their posts (on the closed checkpoints Kalanchak and Chaplynka) so as to assist the citizens who wish to leave the environmental disaster area and wait in the mainland Ukraine, until the environmental situation gets better. As for Chongar checkpoint, the number of border guard units will be enhanced to the maximum, so that they can work with people and vehicles as fast as possible', he said. Slobodyan added that the passenger flow from Crimea grew insignificantly, but Ukraine's State Border Guard said it was ready to cope with the even bigger flow. 'Most of those who leave the occupied territory come from the areas, where the impact from the vapor from the factory feels harder', he said. The official concluded by saying that some border guards complained about nausea and headaches, which are the typical symptoms. Cases of Ukrainian border guards complaining about poisoning symptoms are reported on the administrative border with Crimea. Slobodyan said that earlier, adding that the complaints followed soon after the media reported an emission of an unidentified toxic substance in Armyansk in the occupied peninsula.